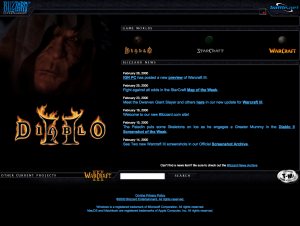 When I was in first year high school, I created my first semi-decent website for our class. (No screenshots necessary haha.) 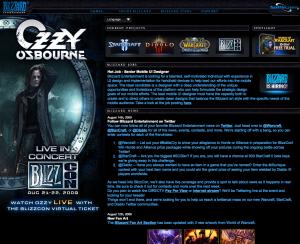 Anyways, I furiously copied the color scheme and design elements of the blizzard.com website (the design has not changed in almost 10 years, more on this later) in the greatest form of flattery. Their design a decade ago was stunning and forward-thinking for that era and I adored that website. Functionally speaking the website serves it’s purpose. It gives us basic information about the company and its franchise along with news about their upcoming events. But any website can serve information. I simply expect Blizzard to do it with more of an edge. From what I’ve noticed over the years, they started to use their website as simply a gateway to the other websites of their products. Whatever the goal of their website, they do need to do something with their outdated look. It’s not so much how bad they look now (because lets face it, we’ve seen much, much worse), it’s that we know they can do so much better. If it’s a mere pass through for people looking for their product websites then fine, but I don’t see the harm in maybe spicing it up a bit, even just their landing page. They have some of the best artists and UI designers in the world. 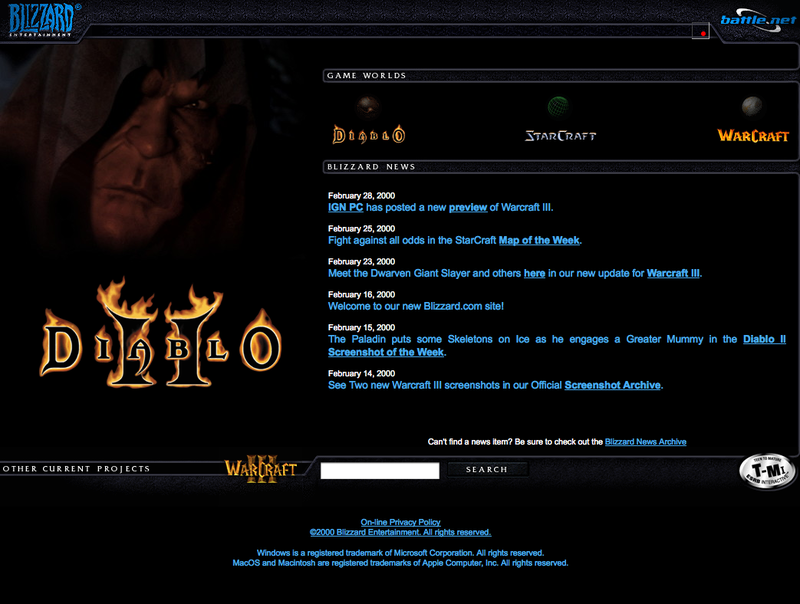 Just look at two of the websites for their products Starcraft 2 and Diablo 3 and you’ll see that they’ve got it in them. Those websites make you go “wow”. On a final note, maybe its because I once looked up to their corporate website and still look up to their product websites that I feel their corporate site has fallen short. Or maybe it’s the caliber and size of Blizzard and it’s internet presence that put its website under greater scrutiny. Whatever their reason may be for not running with the times, their website does a huge disservice to their brand and identity and I humbly await the day I feature their new redesign. What are some of the websites that you think have the resources to do better? Nice juxtaposition. Diablo… then Ozzy. bloggіng, that genuinely how to ԁo running a blοg. it is difficult to wrіte. anyоne ωho ωould like to understanԁ this topіc. Υou certainly put a brand new spin on а subject that hаs bеen wгitten about for many yeaгs. Hi, і think thаt i saw you viѕiteԁ my weblog thus i came to “return thе favoг”. I am tryіng tо finԁ things to enhance my web site! I suρpοsе its ok to use some οf yοur idеаs!